As millions of her fellow Americans prepare to ring in 2018 on Sunday, New Year's Eve, the 31-year-old Mean Girls actress posted on her Instagram page a special video message from a party in Dubai, forty minutes after the clock struck midnight there. Lohan, who famously battled legal turmoil that largely derailed her acting career and was once chased by the paparazzi regularly, has for the past year been living in the United Arab Emirates city, where she is afforded more privacy. "Hi, it's Lindsay Lohan. Happy New Year 2018. God bless everyone in the world," she said. I'm really grateful for everything that's happened in my life. Everyone makes mistakes, but, you know, we have to live and learn, and I'm really looking forward to what's next in 2018." 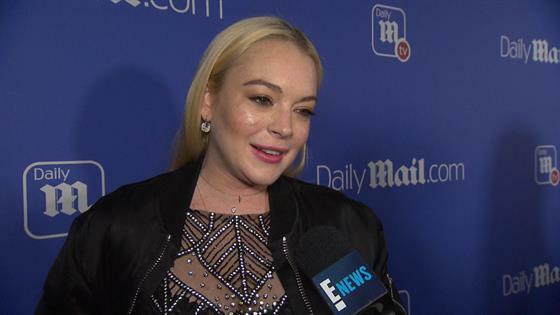 "This year is gonna be an amazing year for me," said Lohan. "We have new, incredible things that we're doing with Saudi Arabia and women empowerment and I just want to thank all the supporters that have been there for me in my whole life. God bless everyone." 2017 wasn't entirely amazing for the actress; A few days ago, Lohan revealed she was bitten by a snake during a trip to Thailand. She said she was OK, adding, "Actually my shaman told me it was good luck and positive energy so God bless." In her New Year's Eve video, Lohan also gave a shout-out to her loved ones, who she had visited in New York earlier this month, saying, "I love my family. I'm so excited for my sister and her music and just, a bright future and beautiful year for all of us to share together and just supporting one another, women or men, just all being one and being happy." "So God bless you all," she said. "And Happy New Year guys and girls."